TechT Paintball Gun Drops are the BEST MONEY CAN BUY! 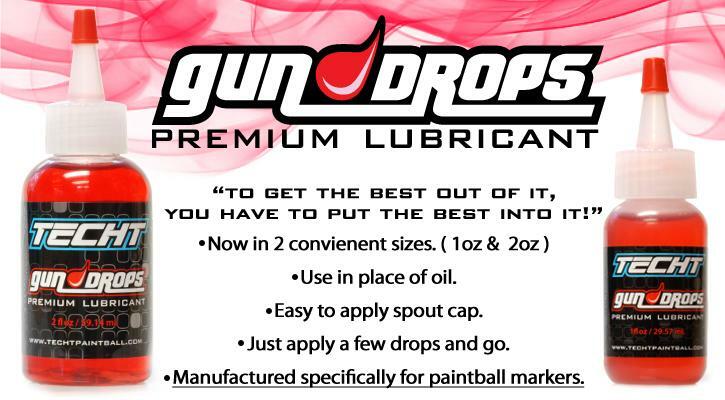 Gun Drops Premium Lubricant is formulated to provide maximum protection and performance for your markers internal moving parts. 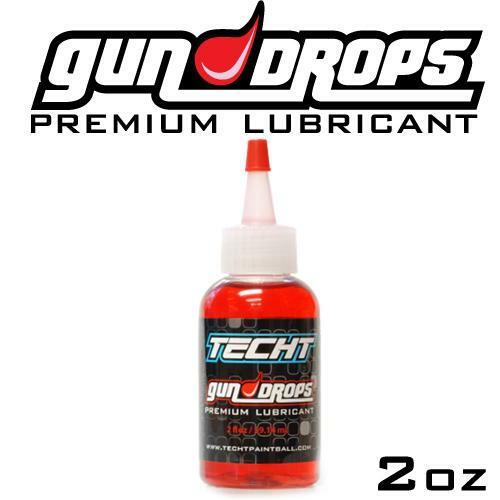 Designed to be "super slick" like our TechT Gun Sav Grease, Gun Drops Oil was specifically formulated for paintball players/markers that prefer a liquid state lubricant. Our new patent pending* dispensing dropper makes Gun Drops easy to use, cuts done on wasteful spills and over application, and prevents oil from leaking into your tool kit. Gun Drops surpasses all expectations of gun oil! WAY BETTER THAN ANY OTHER GUN OIL! STAYS WHERE YOU PUT IT!